That's right the Multiple Spa Trailer (MST) is back! We are in the process of finishing up the last few details on the 1st 2018 MST Trailer. Over the last few years we have had several of our customers ask for these trailer systems. We are super excited to get them back on the road with a few upgraded features! 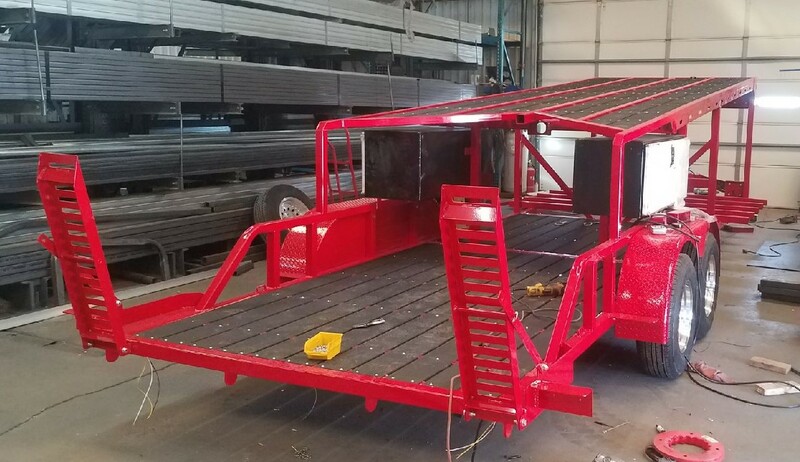 This MST Trailer has been powder coated with the UV Resistant Red powder, aluminum wheels, and of course our upgraded wiring harness with weather packs. The locking tool boxes on each side help to provide storage for all the SpaDolly products as will as your much needed delivery gear. Do we have any takers on the first one of the year? Give us a shout for all quotes, questions and orders!